Dorsiflexion of the foot and metatarsals is weakened without the knee instability (version with limited foot plantarflexion). Increased muscle tension causes considerable axis disturbances of the joint, metatarsus and forefoot during walking (version without restriction of dorsiflexion and plantarflexion of the foot). Excessive plantarflexion causes toe walking with a well-developed ability to walk. (version with limited plantarflexion of the foot). 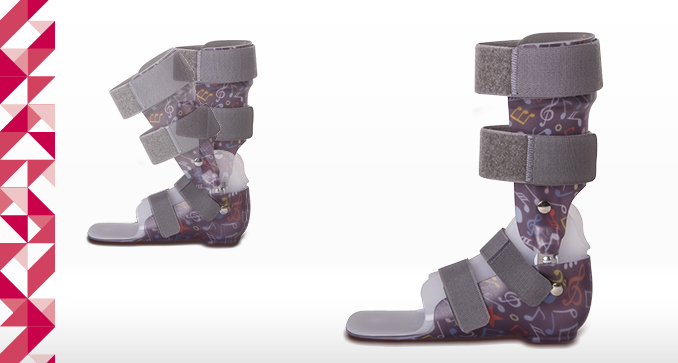 Orthosis with a double-layer structure. 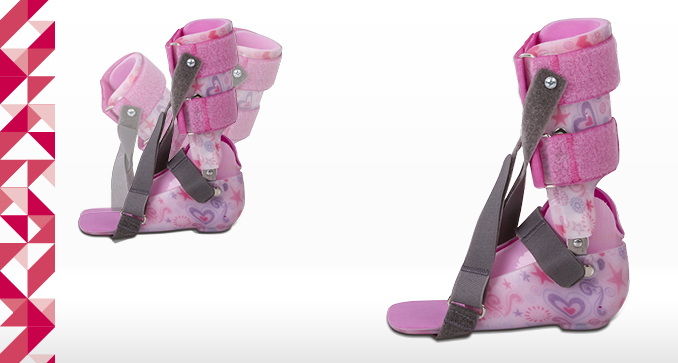 An inner layer that is soft and flexible provides greater comfort and fitting. A stiffer outer layer provides strength and durability of the structure. 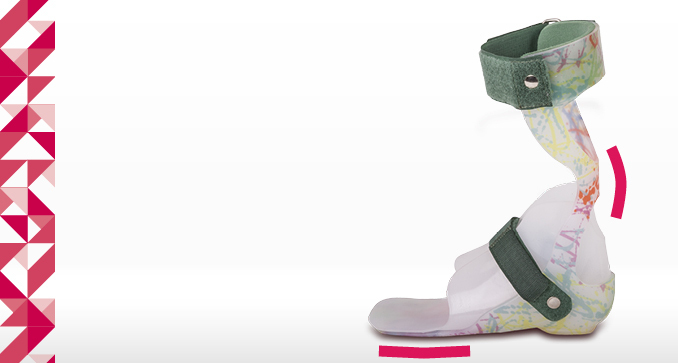 Orthosis correct the position of the foot towards the gaskin, prevents disorders of joint axis and restores the functional movement. 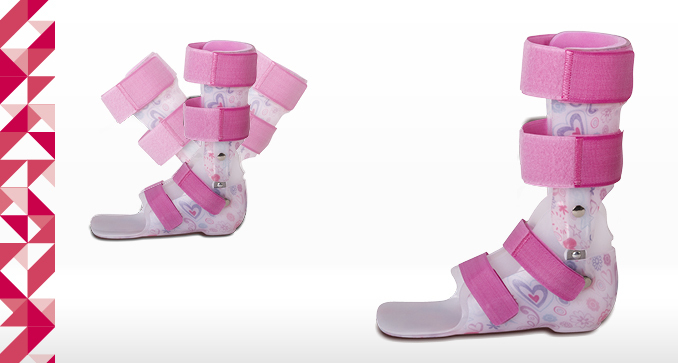 Movable joints are come in versions allowing for full movement of flexion and extension, or limiting plantarflexion.